Furtado then laughs. “Time release the fresh,” Smith says in the background. “Time release the fresh,” repeats Panunzio. 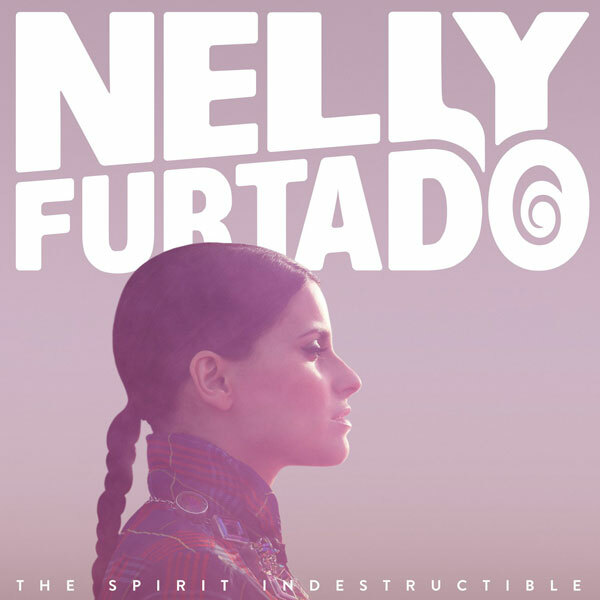 The Spirit Indestructible — which was released Sept. 18 after being pushed back from June 19 to give the label more roll-out time and allow Furtado to do promo around the world all summer — mixes club bangers with more sensitive and sophisticated material. The standard version of the album features 12 songs and the deluxe has 18. The album was made with main collaborator Rodney Jerkins, plus producers such as Bob Rock, John Shanks, Darkchild, The Demolition Crew, Salaam Remi, and includes the chunky mechanical club grooves of “Big Hoops (Bigger The Better)” and “Parking Lot,” the first official North American single; the empowering lead/title track; the pursuit of fame sing-along “High Life;” sweet shaker-pop of “Bucket List;” and ethereal Middle Eastern-tinged ballad “Miracles.” In Europe, the standout mix-it-up ballad-to-dance track “Waiting For The Night” is the new single. The Miami-based, Victoria, BC-born Furtado, now 33, has sold more than 16 million albums, according Interscope, since debuting in 2000 with Whoa, Nelly! and following it up with 2003’s Folklore, 2006’s Loose, and 2009’s Spanish-language Mi Plan. But Furtado doesn’t concern herself too much with sales numbers these days. In Canada, The Spirit Indestructible sold 2,700 copies in its first week and 4,500 units to date; in the U.S., 6000 the first week and 9000 to date, according to Nielsen Soundscan. But Smith believes the album is seven singles deep, “easily” — “the last album, we went in five,” he says. Next year, Furtado will be in full touring mode “non stop” (booked by Creative Artists Agency worldwide, except S. L. Feldman & Associates which handles Canada) which will push the numbers up, slow and steady. “It’s okay if the album doesn’t connect for some reason — as much as I love it — with marketing or promotion, man, anything can happen,” Furtado tells Lowdown. “There’s a lot of really great albums that don’t really sell that much. But I feel like I know how to deal with that, you know what I mean, and I know how to move on. You just make another album [laughs]. You just find your audience. The first release from The Spirit Indestructible, “Big Hoops (The Bigger The Better),” back in April, was never intended as a radio single, says Smith, but in Canada alone, it has sold 57,000 downloads, according to Nielsen Soundscan, and peaked at No. 18 at CHR and No. 31 at AC radio. “We felt it wasn’t really about chart positions; it’s really about a song that would be the best of Nelly, Nelly’s attitude, Nelly’s freshness,” explains Smith. “I say Nelly’s a free-range artist. She’s just fresh. We wanted a song that would speak to that, just free form; it’s not contained versus a structured typical song. “Nelly and I wanted ‘Hoops’ to be this big club banger. The record company thought, ‘Well, let’s service it to radio.’ My goal was ‘If I get a top 20 hit, perfect,’ and we achieved that pretty much everywhere — with the exception they didn’t jam as hard in the Americas because we moved the album [release date], so there’s no need to get this thing that supposed to be this club banger intro track and force it up the chart. 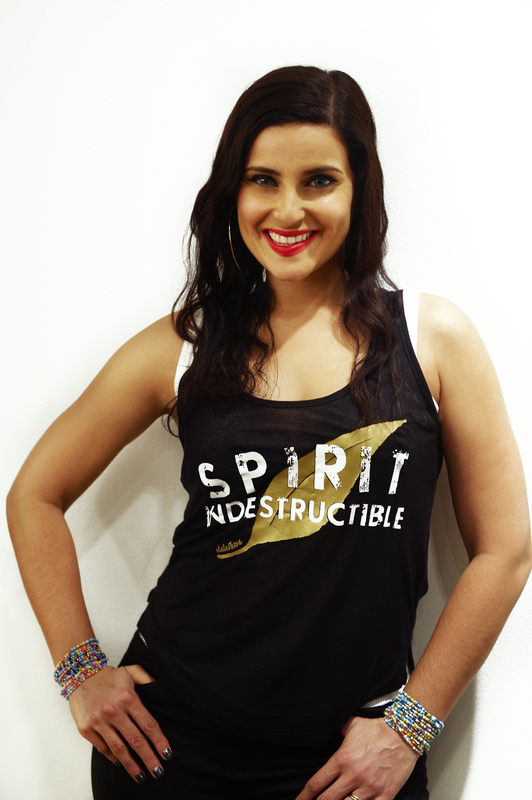 While she did interviews and spot dates all summer internationally, once The Spirit Indestructible came out, Furtado appeared in America on Live! With Kelly!, Late Night With Jimmy Fallon, and The Wendy Williams Show. She also filmed an episode of TV series 90210, set to air Nov. 5, in which she performed “Parking Lot.” Just 10 days ago, she performed at the Dalai Lama’s Commond Ground For Peace in Syracuse, NY. There’s also some cool marketing initiatives such as an online contest, for which people submit their stories, videos, art, and poems about what represents their spirit indestructible in order to win a meet ‘n’ greet with Furtado. “She’s curating the contest,” says Kass. In Canada, Tyson Parker, vice-president, national media & artist relations, at Universal Music Canada, says earlier in the summer Furtado performed on the 2012 MuchMusic Video Awards, and for album set up there was a massive print press campaign with full features in the Toronto Star, Toronto Sun, Globe & Mail, National Post, Canadian Press and Macleans. She also performed three songs on CBC Radio One’s Q. The new single, “Parking Lot,” which came out mid-Sept., has sold 2400 copies, to date, in Canada, and is No. 46 at CHR. “Yeah, it is a good line,” Furtado agrees when told of Smith’s comments. “I love Chris. It’s been a good partnership because Chris, he’s extremely business-minded and I’m extremely whimsical. I guess, along the way, I’ve just made so many detours, and I thank my label for supporting my musical detours and straightaways. I don’t know what I’m going to do next. If I sat down today and had to make a five-year plan with the record company, I wouldn’t be able to. I don’t know what I’m gonna feel in two years, three years. It’s nice to have people around you that support that spontaneity and support that irregular pattern. But the fresh thing, yeah; its very organic. “Quickly — a little anecdote,” she begins. “I was in LA and Rodney [Jerkins] and I got introduced to each other. We were in the studio and I think we wrote ‘Spirit Indestructible’ on the first day. It was so crazy because I’d just met him and I hardly knew anything about him, but we had just created something so intimate together. I left the studio that day and I was like, ‘Should I call you or should you call me?’” she laughs. “It was like a musical one night stand. It was exciting and very powerful. We worked steadily that whole week and Chris and my A&R, Thom Panunzio, were asking, ‘How’s it going?’ I knew I was so excited about it, but wanted to almost bluff them and be like, [casually] ‘Oh it’s good. Come by on Friday night and check it out.’ I really played them [laughs].